Jaka pogoda ,taka i kartka :) Czyli letnia,radosna i kolorowa ! A jak u Was? Plany na urlop już są? Od dziś będę inspirować na blogu Magnoliowe Polki ! Pretty floral card, thanks for joining Marianne Design Diva's. Did you join our followers candy too? HI, so sweet and pretty card, beautiful flowers. So bright and happy Monika and clearly so much work with all the pretty embellishing. this is such a pretty card! 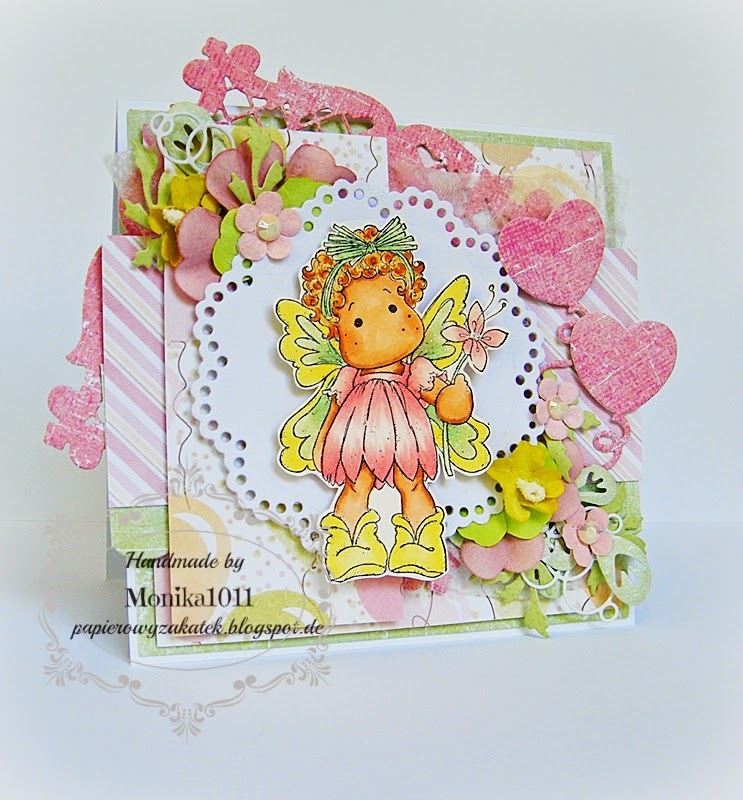 i love the pink, yellow, green combo and the die cuts are lovely, especially the heart balloons. thank you so much for playing along with us this month at penny black and more.